Wavelet decompose uses wavelet scales to turn the current layer into a set of layers with each holding a different type of pattern that is visible within the image. This is used in texture and pattern making to remove unwanted noise quickly from a texture. You can find it under Layers. 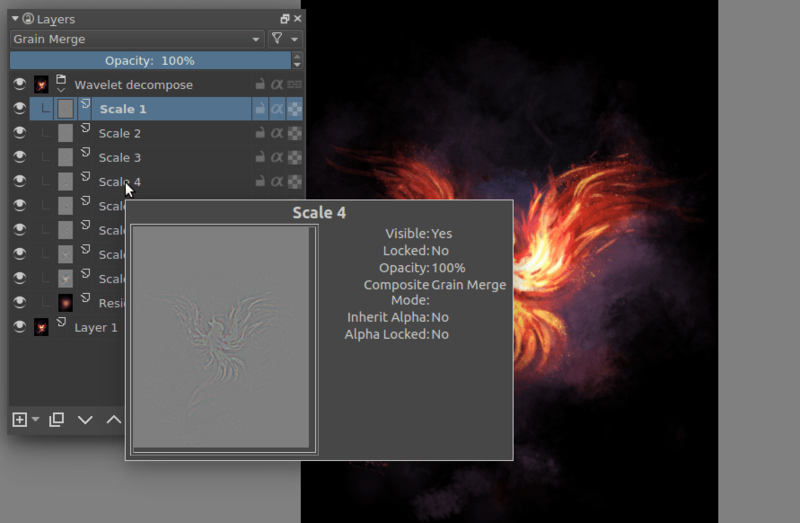 Adjust a given layer with middle gray to neutralize it, and merge everything with the Grain Merge blending mode to merge it into the end image properly.